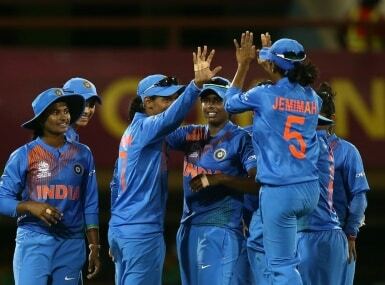 India vs New Zealand Live Score: Reddy starts her final over with a wide. Appeal for caught-behind against Martin off the second delivery, and Indian skipper Harmanpreet goes for the review after its turned down. The TV umpire however, isn't entirely convinced, and sticks to the on-field umpire's original decision. Eight off the over, as Reddy signs off with figures of 1/36.